San Jose, CA – May 21, 2014. KPI Partners, a Platinum level member of Oracle PartnerNetwork (OPN), today announced it has achieved OPN Specialized status for Education and Research. To achieve OPN Specialized status, Oracle partners are required to meet a stringent set of requirements that are based on the needs and priorities of the customer and partner community. By achieving a Specialized distinction, KPI Partners has been recognized by Oracle for its expertise in delivering services specifically for higher education through competency development, business results and proven success. KPI was also presented the 2013 Oracle Excellence Award for Specialized Partner of the Year – North America in the Education Industry category for revolutionizing the way higher education thinks about curriculum planning and management with the use of Oracle Business Intelligence at the world's premier public university. "We're proud to achieve OPN Specialization for Education and Research,” said Kusal Swarnakar, co-founder of KPI Partners. "This Specialization represents a big step forward in KPI Partners's plans to be a leading Oracle partner for education-based business intelligence." KPI’s higher education decision support systems are built to leverage the data generated by major ERP and student information systems such as PeopleSoft, Banner, and Oracle E-Business Suite. Through KPI’s 6 Pillars of Higher Education Analytics, leading public and private universities are transforming their enterprise data warehousing and business intelligence capabilities to achieve educational and operational excellence. These modern solutions are allowing faculty, staff, and students to make insightful and impactful data-driven decisions. 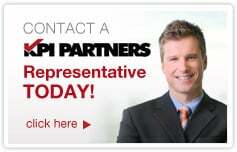 KPI Partners is a strategic consulting and systems implementation partner focused on analytics and data integration. The award winning experts at KPI Partners create industry-specific intelligence solutions for cloud-based and on-premise applications. Find them at http://www.kpipartners.com.